Final Fantasy XV is a gift that keeps on giving and is really doing its best to keep everyone playing, whether it's those who purchased it or those who bought the Season Pass holders like myself. This is a smart move considering the time between each of the upcoming character Episode DLCs and is a good way to stop the open world becoming stale and keep those still totally addicted like myself from becoming less addicted or worse, not playing at all. Normally I wouldn't write anything about an update to a game, but the 1.05 update added some really significant updates, such as timed quests and a higher level cap. On top of that, Season Pass holders also got the Booster Pack+ a day after the update so as a happy Final Fantasy XV fan, I wanted to give my thoughts on each new feature added to the game because some of them are pretty cool. 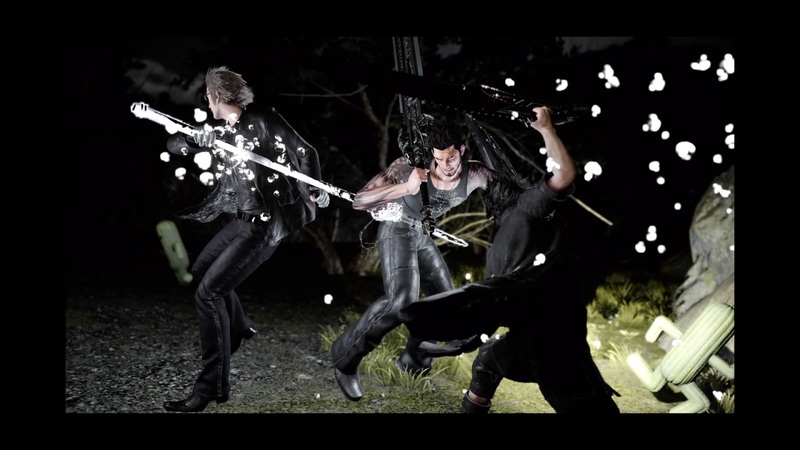 The new update to Final Fantasy XV adds some significant features and is available freely to anyone who owns the game. An exciting thing for those who own a PS4 Pro is probably the new Lite Mode that has a maximum of 60FPS and probably looks absolutely stunning. I don't own a PS4 Pro so I can't comment on this much, but it gives me a reason to be a little more jealous of everyone who does. Also something I can't comment on much is the raised level cap as my characters are only just at level 80 as I write this (note: as I edit this, I've hit level 100 woo! ), but I'm pretty excited for this. Usually levels are capped at level 99 in Final Fantasy games, but Final Fantasy XV players can enjoy getting up to level 120, which is a really cool change. I recently maxed out my character's skills and have missed having a goal to work towards, so it's nice to know I can enjoy seeing my EXP go up for awhile. Also I'm keen to have some totally OP characters for when I go verse a certain boss for a certain gold trophy and an curious to see if it will affect my enjoyment of XV. I do wonder if level cap increases will be a trend with future Final Fantasy XV updates, but even if it's a one-off, it's pretty damn cool. The thing that had me most keen for the 1.05 update is the addition of Timed Quests. I've written about how I'm totally addicted to running around in Final Fantasy XV's world and Timed Quests are a great way to keep this interesting. The first one is pretty rewarding, with the current fun and challenging cactaur quest giving 10,000 EXP, 333 AP and 150,000 Gil upon first completion, plus cactaurs being 1000 EXP each anyway add up to a fantastic way to reach that new Level 120. This update is guaranteed to keep me checking back for those awesome rewards and I can't wait for more quests and hunts. 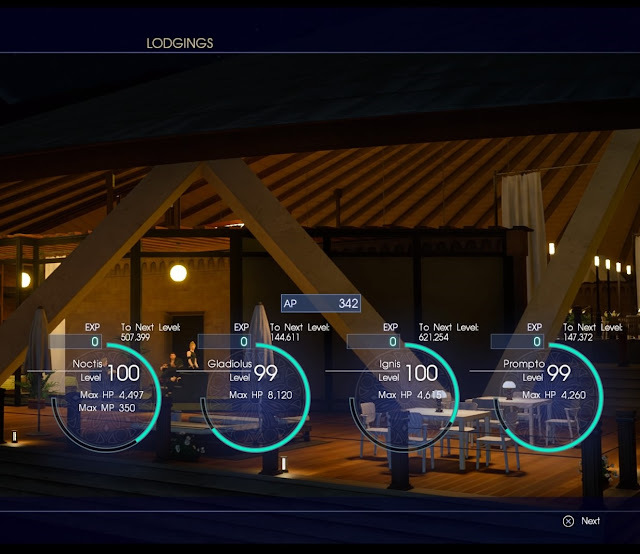 The last few updates are minor updates, but nonetheless help enrich the player experience in Final Fantasy XV. In case you were getting sick of hearing the Chocobo theme (is that possible?) while riding Chocobos, you can finally listen to the Audio Player while riding and if you wanted to listen to two tracks from NieR’s gorgeous soundtrack, you can do that now too. Prompto can also store 50 more photos (200 in total), which is nice since I haven't been able to save new photos for awhile. The new update also takes out the Moogle Chocobo Carnival, which I’d already used to help me get my Fishing Skill to full and done pretty much everything in. The Chocobo music player and photo capacity probably should've been in XV already and are kind of insignificant at this point, but I'll take them and enjoy them anyway. All of these additions make a pretty solid upgrade to the base experience of XV and have already given me more reasons to keep playing. The exclusive to Season Pass holders Booster Pack+ is a small little pack of items to mostly make fishing a little easier. The lack of a ‘wow’ item in this pack is probably due to the delay of the Magitek Exosuit that is getting a redesign due to similarities to the Power Rangers’ suits and was supposed to offer invisibility and a boost in fishing skills for a limited time. But the items are a nice little token for those with the season pass regardless. The Dragon Drain Rod and Avior Reel will be helpful for those upping their fishing skill; I don't overly care for these since mine is at max and I only really fished for new recipes and trophies. What I am enjoying is the Ragnarok sword, which packs a punch in battle and mostly just looks cool when warping due to it spitting a bunch of pink electrical looking stuff everywhere. It isn't however stronger than the Blood Sword I was using, so I may retire it soon, making the Booster Pack+ of little use to me. 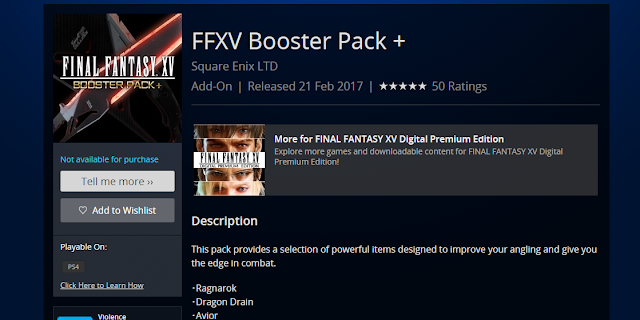 Being honest, the Booster Pack+ is a tad lacklustre and is absolutely not worth getting the Season Pass for. 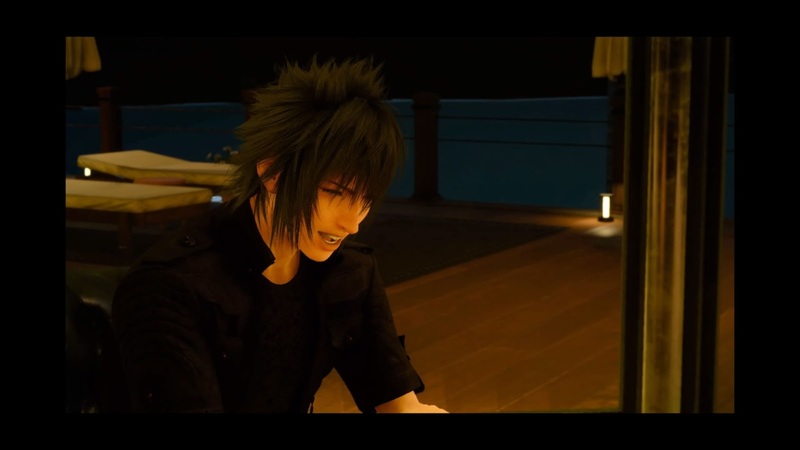 But it's an alright bonus for those like myself who have it already for the story episodes and if I ever decide to complete Noct’s fishing collection, I'm sure I'll be at least a little happy I have it. The real standout of these two additions to Final Fantasy XV is the free 1.05 update, but both it and the Booster Pack+ add nice little touches to enhance the current Final Fantasy XV. I enjoyed driving to the latest timed-quest while listening to music from NieR, and will be eagerly waiting for future timed-quests. 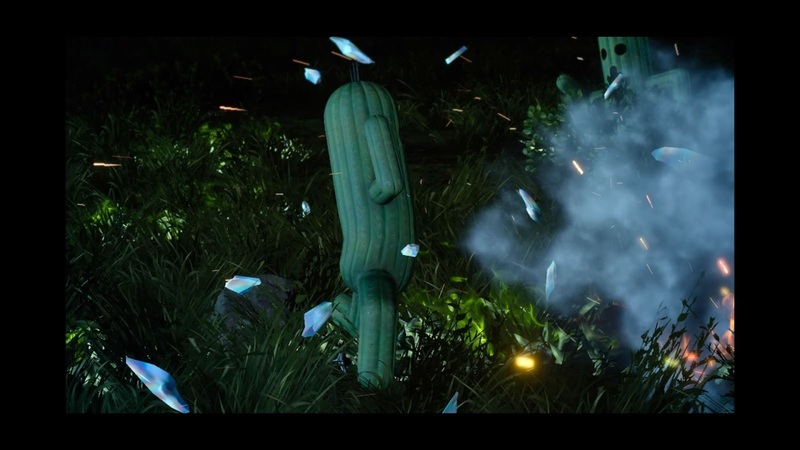 Final Fantasy XV has been lucky to be getting so much support so far and I hope the addition of timed-quests among the other additions is a nod towards Final Fantasy XV getting support between each of its story episodes. What did you think of the Update and Booster Pack+? 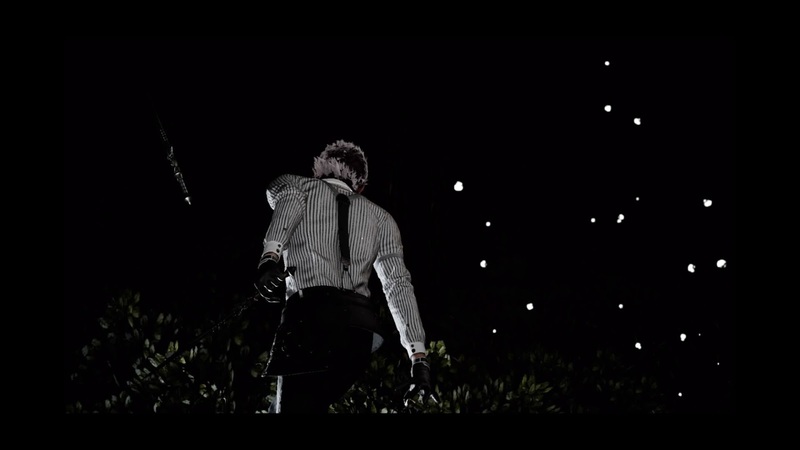 Are you still playing Final Fantasy XV?